Written by: Self-Submission from Excel Dryer Inc.
Excel Dryer has been manufacturing the finest American-made hand dryers for more than 50 years. 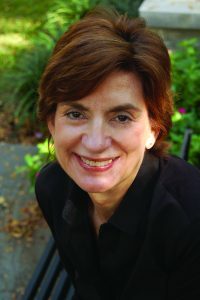 Constantly innovating and challenging the status quo, the family-owned and -operated company revolutionized the industry with the invention of patented XLERATOR technology that created the high-speed, energy-efficient hand dryer category and set a new standard for performance, reliability and customer satisfaction. Current owner, Denis Gagnon, took the helm in 1997 and ensures that his company continually leads the industry with firsts including new product innovations and testing. In 2003, Excel Dryer became the first hand dryer manufacturer to become a member of the United States Green Building Council (USGBC) and six years later, was the first hand dryer manufacturer to commission an independent, third-party Life Cycle Assessment (LCA) of high-speed, energy-efficient hand dryers versus conventional hand dryers and paper towels. The following year, hand dryers in the XLERATOR line of products became the first and only to achieve Made In USA certification. Recently, Excel Dryer celebrated another first when UL Environment, a business division of UL (Underwriters Laboratories), published the first-ever global Product Category Rule (PCR) developed for the hand dryer industry — a process Excel Dryer initiated and chaired. With this ruling came another first — the release of the first published dry times and energy usage for hand dryers recorded during testing conducted by SGS, the world’s leading inspection, verification, testing and certification company. 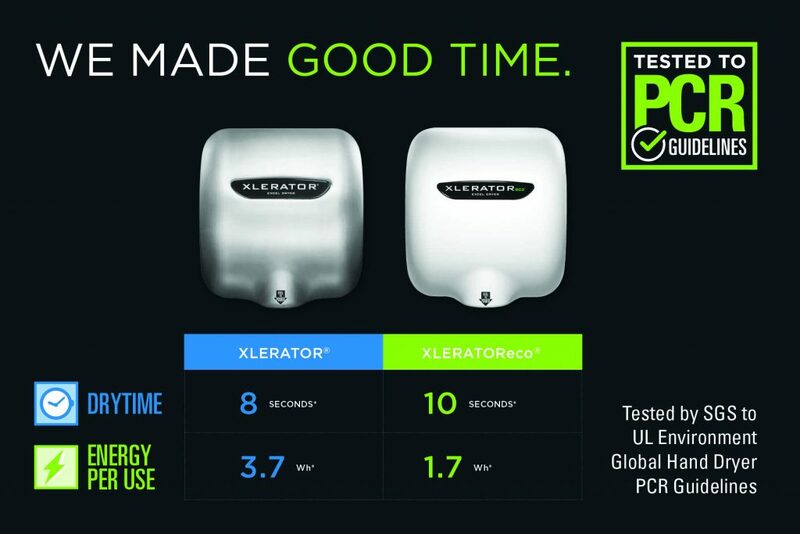 The original, patented, high-speed, energy-efficient XLERATOR Hand Dryer recorded an 8 second* dry time and 3.7 Wh* energy per use while the XLERATOReco Hand Dryer recorded 10 seconds*, 1.7 Wh*, respectively, making them the first-published in the industry. In this age of transparency, corporations and consumers engage in a dialogue. With so much information being disseminated, it is becoming increasingly important for buyers and specifiers to understand and gain access to reporting tools and benchmarks so that authentic claims relative to environmental impact and product performance can be extracted. Understanding the complexity of the PCR process and precedent it set, Excel Dryer condensed the yearlong PCR process into a succinct and easy to understand infographic. Until the introduction of the global PCR for hand dryers, inconsistent testing and reporting methods allowed for unreliable and unsubstantiated claims to be made in the marketplace. Because of the efforts of Excel Dryer, the playing field has been leveled — hand dryer manufacturers will need to follow the same, standardized testing and reporting guidelines to allow buyers and specifiers to make more informed decisions when selecting a properly tested dryer. A champion for innovation and change, Excel Dryer recognized that in order to provide clarity and prevents false claims, known as ‘greenwashing’ in the sustainable product sector, the method to test for environmental impact of hand dryers needed to be standardized. Uniform testing and reporting procedures established in the PCR allow for the specifying community and buyers who purchase products to conduct a true ‘apples-to-apples’ comparison of hand dryers, and ultimately make a more informed decision, based on credible, third-party testing results. The publication of the global hand dryer PCR is the culmination of a yearlong, data-driven and science-backed process and represents the first industry consensus standard for hand dryers. In compliance with UL Environment General Program Instructions and to generate industry consensus, the PCR was published and open for public comment. Many hand dryer manufacturers and testing organizations from around the world chose to participate and submitted comments during this period. The PCR for hand dryers is the first step toward Environmental Product Declarations (EPDs), independently verified ecolabels that govern one or more product category. These registered documents communicate transparent and comparable information about the environmental impact of products from cradle-to-grave. When working on public construction projects, in particular, the newly-published PCR creates a level playing field for hand dryers and allows for effective consideration of both proprietary and performance-based specifications, namely, dry times and energy usage. The hand dryer market, like so many others, is inundated with knockoff products and manufacturers making unsubstantiated claims. Architects and specifiers may approve ‘or equal’ products that are not true equivalents. The same is true for buyers looking to compare and purchase the best product for their facilities. All products need to be evaluated by the same set of rules and reporting guidelines — for hand dryers, that rule is the new, global PCR from UL Environment. Excel Dryer has always been committed to environmental sustainability. The corporate Headquarters in East Longmeadow, Massachusetts are LEED-CI Gold Certified and Green Globes New Construction 1 Globe certified. The U.S. Green Building Council (USGBC), whose mission it is to promote sustainability in building design, construction and operation, adopted XLERATOR Hand Dryers nearly a decade ago, featuring them at the organization’s headquarters. Like Excel Dryer, the USGBC facility is LEED Certified, and Excel Dryer’s energy-efficient hand dryers help the organization maintain a Platinum rating. 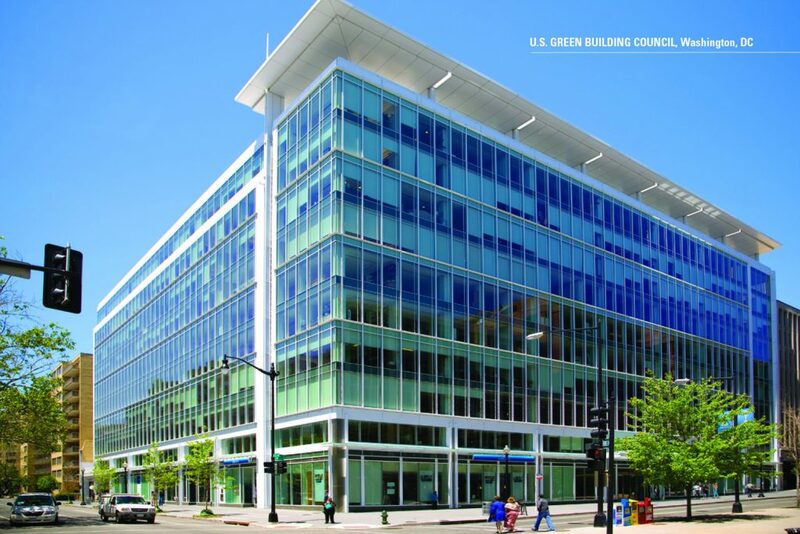 The U.S. Green Building Council is but one example of high-profile organizations choosing Excel Dryer. The University of Reading, known for environmental research about climate science and sustainable construction, selected the XLERATOReco Hand Dryer as part of a campuswide initiative to mitigate its own environmental impact and reduce its carbon footprint. The University created a Sustainability Team and Clean and Green Team in addition to investing in campus infrastructure to ensure its facilities are efficient and environmentally ready for the future. Dan Fernbank, Energy Manager at the University of Reading, compared the high-speed, energy-efficient XLERATOReco Hand Dryer and UK blade-style hand dryers to the university’s conventional model. 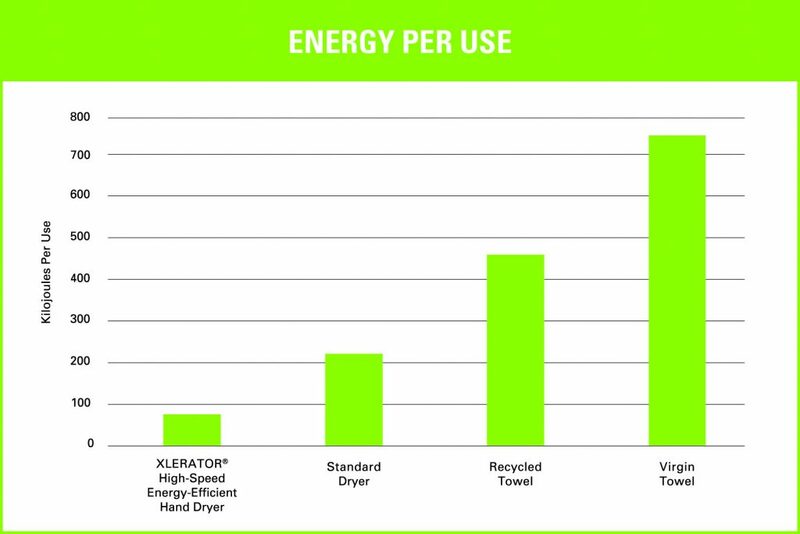 According to that independent research, the XLERATOReco uses 55 percent less energy than the UK blade-style hand dryer and 88 percent less energy than the conventional dryer. In addition to the energy-savings, the XLERATOReco helped the University realize an annual cost-savings of $2,155.20 (£1,452). The performance of the XLERATOR is challenged, daily, in historic Grand Central Terminal located in the heart of New York. Not only is it a high profile facility but also an extremely high traffic one — the busiest train station in the country, in fact. Spanning 48 acres and hosting 750,000 visitors daily, Grand Central was in need of a solution that could expeditiously handle its high traffic while complying with the strict rules and regulations to protect the integrity of the historic landmark. The installation of 24 XLERATOR Hand Dryers proved to be the perfect solution meeting performance needs without compromising the original Beaux-Arts architecture. With the need for paper towels eliminated, they were removed from each restroom at Grand Central, which previously suffered from overflowing trash receptacles and a clogged sewer system. The newfound cleanliness of Grand Central’s restroom has been noticed. 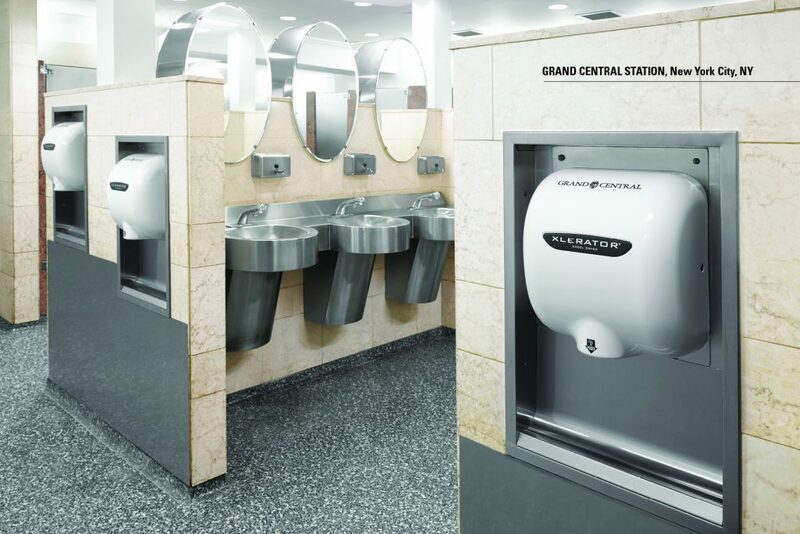 Since the installation of the XLERATOR Hand Dryers, Grand Central Terminal restrooms have been nominated as among America’s best public restrooms in Cintas’ America’s Best Restroom Contest. Further advancing green restroom design, Excel Dryer has partnered with Penny Bonda of Ecoimpact consulting, to craft a Continuing Education Unit (CEU) course. Bonda, known as “the mother of green interiors,” has long recognized Excel Dryer as an industry leader and a provider of sustainable and responsible restroom solutions. The course, titled “Next Generation Green Restroom Design v2” (NGGRDv2) is approved by the American Institute of Architects (AIA), Green Business Certification Inc. (GBCI) and the Interior Design Continuing Education Council (IDCEC). NGGRDv2 includes exclusive content about the latest advancements in green restroom design and addresses global concerns of water shortages and environmental impacts originated by the building sector. The CEU Course also educates the specifying community about the benefits of low-flow fixtures – such as low-flow sinks and toilets as well as waterless urinals. Many of these fixtures become clogged when paper towels are improperly disposed of – representing significant plumbing and maintenance fees. Replacing paper towels with high-speed, energy-efficient hand dryers, eliminates the problem at the source. Participants also will receive an in-depth analysis of how these products earn points toward LEED v4 credits and other green building standards to comply with new, best practices in green building. Excel Dryer’s expanded and enhanced product line — featuring XLERATOR, XLERATOReco and ThinAir Hand Dryers — offers the most options and complete line of accessories in the industry to create the best hand drying solution for any restroom environment. All Excel Dryer high-efficiency hand dryer models now have enhanced standard features including adjustable controls for sound, speed and heat, an externally visible LED light for streamlining maintenance, and multi-voltage options available in 110V-120V and 208V-277V volts in 50 or 60 hertz, accommodating electrical needs for retrofitting buildings and new construction globally. XLERATOR and XLERATOReco Hand Dryers have additional options that include a HEPA Filtration System and a noise reduction nozzle that significantly reduces air deflection and the sound level. The high-efficiency, ThinAir Hand Dryer, is surface mounted and ADA-compliant. Covers are available in a multitude of colors and finishes including textured graphite and brushed stainless steel or can be personalized with digital images boasting company logos or statistics regarding environmental impact — make the Excel Dryer line of products the most customizable on the market, matching both the buyer’s aesthetic and the décor of the restroom environment. Always forward-thinking, Excel Dryer has identified and is working to bring the future of green restroom design — integrated sink systems — to market. This emerging trend takes existing green technology a step further, enhancing the user experience by building upon the advancements in noise reduction, water dispersion and aesthetic improvements introduced in recent years. Offered as a consolidated unit that combines — on one sink deck — all the green elements of high-speed, energy-efficient dryers and touch-free soap dispensers with the water saving capacity of sensor-activated, low-flow faucets, fully integrated sink systems truly are the next generation of green restroom design. Fully customizable in form and function, integrated sink systems reduce environmental impact, increase cleanliness and overall hygiene in any restroom environment. 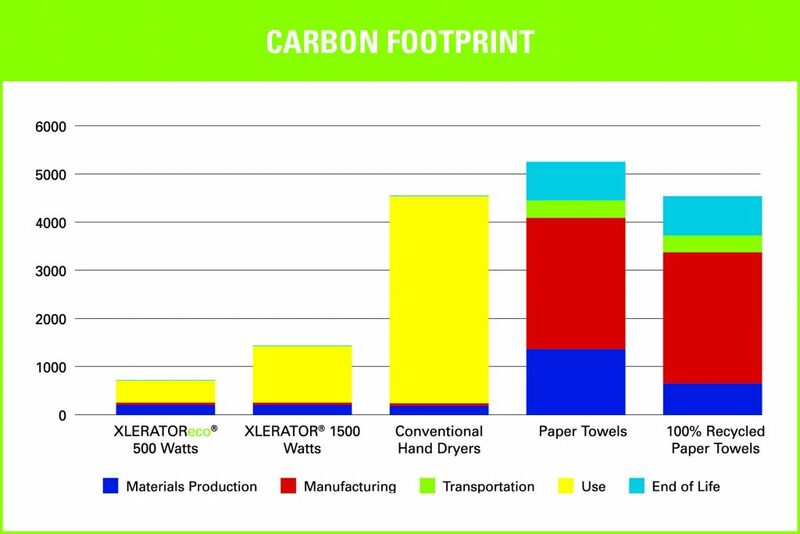 Excel Dryer understands that a coordinated approach to green restroom design is one that uses the most up-to-date high-efficiency products to reduce energy usage, conserve water, save money and contribute to a better environment overall. With this holistic and environmentally-focused approach, Excel Dryer will continue be an innovator and champion for change, leading the industry by example.